Robbie Byrd, DMIN, LCSW is a Regional Director in the CareNet Counseling network of Wake Forest Baptist Health. He oversees the ministries at the Fayetteville Family Life Center, the Robeson Family Counseling Center in Lumberton NC, and the CareNet Central Region center in Erwin NC. He is an ordained Baptist minister and a Licensed Clinical Socal Worker. He has been part of the CareNet Counseling ministry since 2004. He has served on staff at local churches and worked as a social worker at DSS, the local mental health center, and at Cape Fear Valley Health. 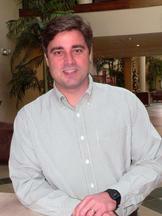 He works with clients primarily in the area of faith and spiritual issues. Dr. Byrd holds the following degrees: D.Min. from Campbell University, 2010; M.Div. from Campbell University, 2003; M.S.W. from East Carolina University, 1997; and B.A. from University of North Carolina - Chapel Hill, 1990. Caroline Kimberly Cofiori, MA, LPC is a Licensed Professional Counselor (LPC) who joined the Fayetteville Family Life Center in January 2015. Kim provides counseling to individuals, couples, adolescents and children. She has special interests in post–trauma recovery, clinical disorders, women’s issues, grief and loss, adjustment issues and children with ADHD. 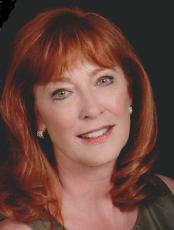 Kim is trained in Eye Movement Desensitization Reprocessing (EMDR) trauma recovery. Kim also teaches our Love and Logic Parenting classes at the Center. Kim has a close concern for military personnel and their families. She is the granddaughter, daughter, and wife of military veterans, and now the mother of an active Army Soldier. She understands well the commitment, tribulations and sacrifices in the lives of military and their families. She sees therapy as an active process, which incorporates the client's belief system, all in a setting of unconditional positive regard. She graduated with a Bachelor of Science in Psychology from Fayetteville State University (FSU) and a Masters Degree in Psychology Counseling. Kim has been an active member of the Fayetteville community and Haymount United Methodist Church for 29 years. She and her husband, Allen, have reared three children, here in Fayetteville, who graduated from North Carolina universities. She worked for 10 years as a substitute teacher for upper and middle schools at the Fayetteville Academy and in Cumberland County middle and high schools. Andrew Finkler, MDIV, MA, LPC-A, LCAS-A, is a post graduate resident who joined the Fayetteville Family Life Center in 2018. He is a Nationally Certified Counselor, Licensed Professional Counselor Associate, and a Licensed Clinical Addiction Specialist Associate. Andrew was an Army nurse who served tours in Germany, Iraq, and Afghanistan. As a medically retired veteran, he understands first-hand the trials of not only being a soldier, but a veteran living in the civilian sector. He retired from active duty at Ft. Bragg in 2013. He received his B.A. in Psychology from Olivet College and B.S.N. from Austin Peay State University. He recently finished his MDiv. in Chaplaincy and Counseling and M.A. in Clinical Mental Health Counseling at Campbell University. Andrew is an ordained Baptist minister who has a love for working with people from all places and stages in life who wish to seek a better relationship with themselves and their higher power. Andrew believes that his life experiences and professional callings as a nurse and minister, along with counselor, help him to create a truly holistic counseling experience. 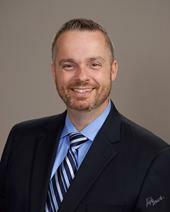 His clinical training experiences include: working with the homeless population at Operation Inasmuch, hospital chaplaincy at Cape Fear Valley medical Center, inpatient substance abuse detox and mental health stabilization at Cape Fear Valley Behavioral Health-Roxie Avenue Center, and outpatient spiritual psychotherapy at the Fayetteville Family Life Center. 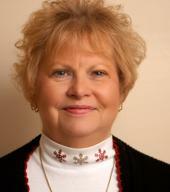 Darlene Maryalice Hopkins, PhD, LPC, has been in the counseling field since 1985. She came to the Fayetteville Family Life Center in 2017. In 1993, she began a 23-year career at Methodist University, Fayetteville, where set up the first Counseling and Psychological Services Center to offer mental health counseling to students, staff and their families. Her master’s level education was completed at Indiana University and she earned a PhD in Christian Counseling at Atlantic Coast Seminary in Florida. She has earned a license as a clinical addictions specialist and a certification in the treatment of trauma. She is also a certified meditation teacher. She continues to teach psychology courses, to supervise graduate internships and to provide pre-licensing supervision to mental health and addiction counselors. Dr. Hopkins believes that building on existing strengths to create hope is central to every counseling session. Jennifer Lamberth, MA, LMFT, is a North Carolina Licensed Marriage and Family Therapist. She received her Master of Arts in Marriage and Family Therapy from Liberty University in Lynchburg, VA. She has several years of experience both working within the local military and civilian communities. Jennifer is a Clinical Member of the American Association of Marriage and Family Therapy (AAMFT) and holds Professional Membership with American Association of Christian Counselors (AACC), and American Counseling Association (ACA). She has experience as an Emergency Services Clinician and Counselor at a Mental Health Center (Harnett County). Jennifer has experience in treating Anxiety, Depression, Bipolar Disorder, Personality Disorder, Life Transition Issues, Post Traumatic Stress Disorder, Grief, Anger Management, and Women Issues. She also has experience working with Parenting Issues, Couples, Marital issues and Family-related concerns. Jennifer has received training in Eye Movement Desensitization Reprocessing (EMDR) through the EMDR Institute, Inc. In the past, she has served as a volunteer with the American Red Cross, Cumberland County Hospice, Fayetteville Care Clinic and the CONTACT Crisis Center. Jennifer is available for counseling men, women, and children ages six and up, adolescent and families. Counseling can be conducted in a variety of settings such as individual, couples, marital, and family. Denise Merritt, DMIN, LMFT, joins us after 23 years of active duty military service. Reflecting, she notes her last assignment at Fort Bragg which was to stand up the Unit Ministry team at the Warrior Transition Battalion was most challenging and the greatest honor. In this position, Chaplain Merritt invested her 7R skills and training to journey with Soldiers and Families navigating uncertainties due to trauma and transition. Upon retirement, Dr. Merritt sought opportunities to continue sharpening her skill set. She retooled at Liberty University in the Marriage and Family Therapy track. In August 2018 she completed a two year Residency at Wake Forest Baptist Hospital in Psychotherapy and Spirituality. This experience integrates the whole person approach which enhances couple and family interventions. Denise does not consider coming into the Fayetteville Family Life Center as going to work; rather she considers this her "Thank You America" payback tour. She attends conferences hosted by the American Association of Christian Counselors for ongoing professional development and resourcing to strengthen the bridge between pastoral congregational care and professional therapy. Her unique experiences fuel her vision and enthusiasm to model Jesus as the Wonderful Counselor, especially in a pluralistic culture. Denise serves persons and families navigating trauma, spiritual significance, and relational life transitions. She is EMDR trained, and accepts most insurances. Elizabeth Ramos, MSW, LCSW, LCAS, CCS is a Licensed Clinical Social Worker and Licensed Clinical Addiction Specialist. She has worked with people who suffer from the disease of addiction and their family members for over 25 years. She was a member of the Substance Abuse Outpatient Program at the Cumberland County Mental Health Center for over 20 years. She is a member of the Board of Directors of the Myrover-Reese Fellowship Homes, a member of the NC Commission for Mental Health/Developmental Disabilities/Substance Abuse Services, a member of the Board of the NC Substance Abuse Professional Practice Board and a member of the Board of the NC Foundation for Alcohol and Drug Studies. She also supervises individuals who are seeking a license in substance abuse or social work. She treats for depression, anxiety, anger management, marriage and trauma. She is trained in Eye Movement Desensitization and Reprocessing (EMDR). She holds an Associate Degree in Psychology from Fayetteville State University, (1996); a Bachelor's Degree in Social Work from Methodist University (2001); and a Masters in Social Work from Fayetteville State University (2005). Mrs. Ramos joined the staff of the Fayetteville Family Life Center in 2006. Elizabeth works out of our satellite office at Haymount United Methodist Church. Michelle R. Walters, MA, LPC, is a Licensed Professional Counselor who joined the Fayetteville Family Life Center in January 2017. She graduated from Liberty University with a Master’s degree in Professional Counseling. 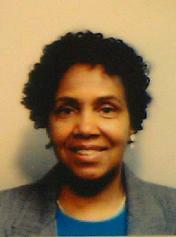 Her studies there included Integration of Theology and Psychology, Theology and Spirituality in Counseling, and Multicultural Counseling. Michelle has a special interest in educating and empowering individuals for better health and reducing mental health stigma that limits access or openness to services that can promote personal growth and healing. She has worked in a variety of clinical settings in the Lumberton and Fayetteville area, including her own Private Practice. Michelle provides counseling for Individuals, couples, adolescents, adults, and older adults. She has specialized training in Mindfulness Based Stress Reduction (MBSR) through Duke Integrative Health, and has been certified as a Trauma Professional with the International Association of Trauma Professionals (IATP). Michelle has experience in helping with a variety of issues including Anxiety, Stress Management, Life stages/transitions, OCD, Trauma, Relationship challenges, and Grief/Loss.